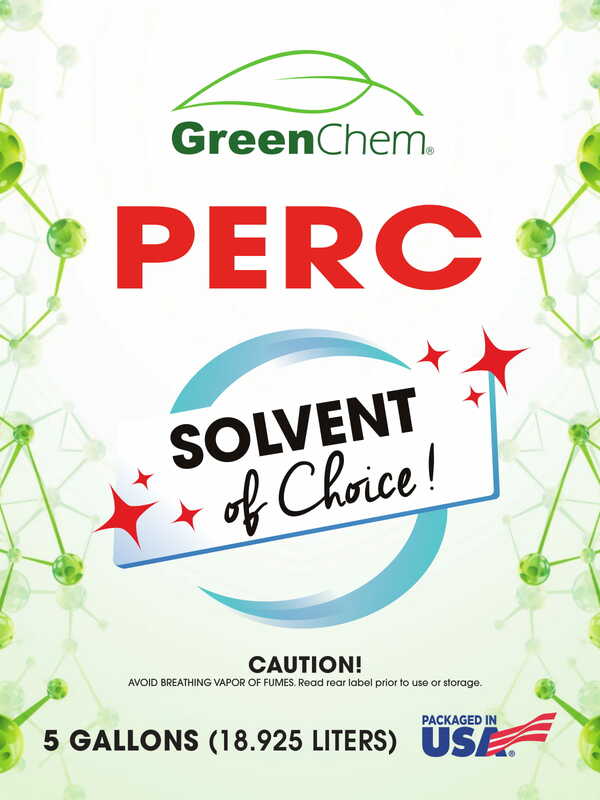 GreenChem 5 gallon PERC (Tetrachloroethylene) is a high quality organic solvent ideal for commercial dry cleaning applications. The 5 gallon perc can also be used as a professional grade degreaser for automotive parts and other metalwork use. Currently available in 5 and 55 Gallon drums, as well as bulk containers and pallets of 27 5 gallon pails. The 5 gallon pails are packaged in America. Currently available in 5 and 55 Gallon drums, as well as bulk containers and pallets of 27 5 gallon pails.